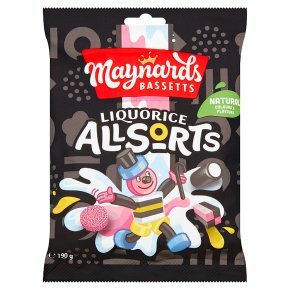 A wonderful mix of Liquorice Allsorts sweets that we all know and love. Just as delicious as ever, these Liquorice Allsorts are made only with natural colours and flavours. This 190g bag is perfect for sharing with friends and family.